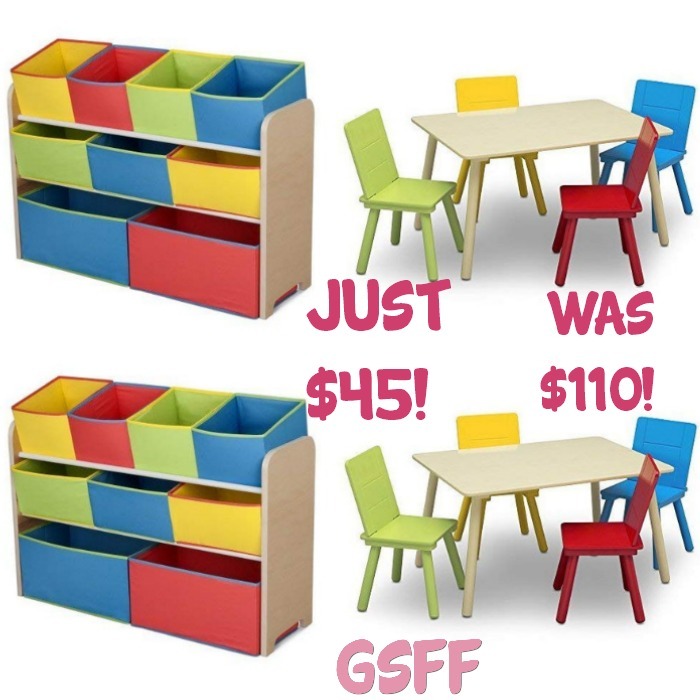 Toy Organizer & Kids Table Set Just $45.49! Down From $110! Hurry over to Amazon where you can score this Toy Organizer & Kids Tablet Set for just $45.49 down from $110.29 PLUS FREE shipping! This is an awesome deal so don’t miss it! 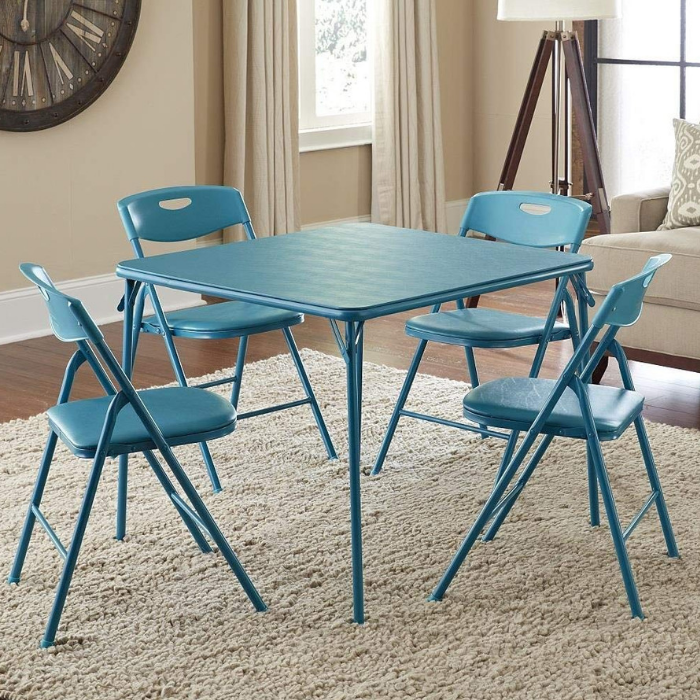 5-Piece Table & Chair Set Just $65.59! Down From $189! PLUS FREE Shipping! Head over to Amazon where you can score this Cosco 5-Piece Table & Chair Set for just $65.59 down from $189 PLUS FREE shipping! Be ready for guests with instant seating for four. Comfortable for entertaining and compact for storage, our sets feature durable steel frames and a powder-coated finish. The more the merrier. This teal set comes with a sturdy 34″ square table with low maintenance and easy to clean vinyl top. The four chairs are upholstered in an attractive fabric with padding on the seat and back for additional comfort. The tables and chairs are made of a sturdy steel frame and rubber tips to protect your floors. The table and chairs fold for easy storage when not in use. 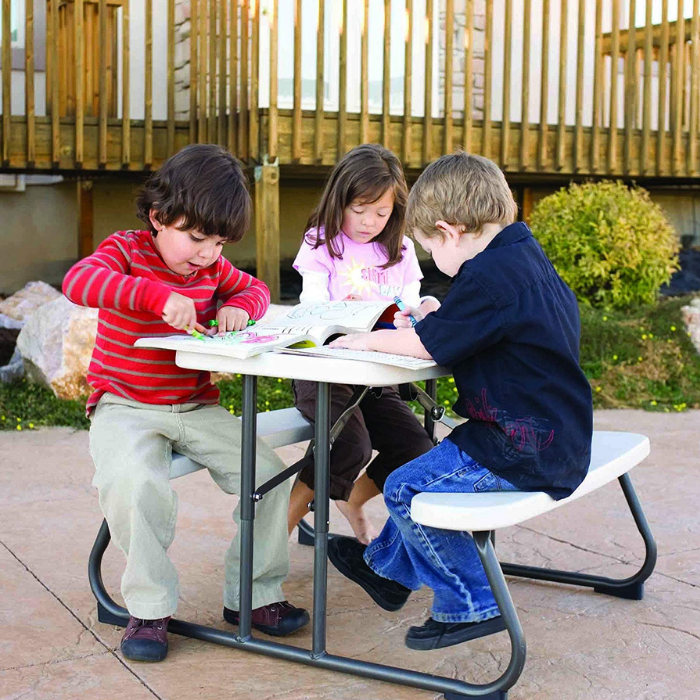 Kid’s Picnic Table Just $44.03! Down From $90! PLUS FREE Shipping! Amazon is now offering this Kid’s Picnic Table for just $44.03 down from $89.99 PLUS FREE shipping!